Cyclone Idai was the most devastating cyclone to strike Mozambique in modern history. After developing in the Mozambique Channel, the cyclone rapidly headed for land, striking the Beira region in mid-March and heading westwards. By the end of March, severe flooding and high winds had claimed the lives of over 700 people, with officials expecting to find more bodies as the flood waters begin to subside. 128 000 affected people have had to find shelter in 154 sites. As with the similarly devastating floods in 2000, South Africa’s government responded immediately to the crisis faced by Mozambique – an impoverished country without sufficient resources to effectively manage the situation. President Cyril Ramaphosa authorised the deployment of multi-departmental rescue teams for Malawi, Mozambique and Zimbabwe. The teams consist of members of the South African National Defence Force (SANDF), the South African Police Service (SAPS) and the Department of Health. A total of 82 personnel, including SANDF members, healthcare workers and environmentalists, are providing disaster relief in Mozambique. Along with cargo planes carrying life-saving supplies, three helicopters were deployed to assist with search–and–rescue efforts for the thousands of people stranded on islands and rooftops surrounded by the raging flood waters. In total, the SANDF and SAPS have rescued more than 400 people. 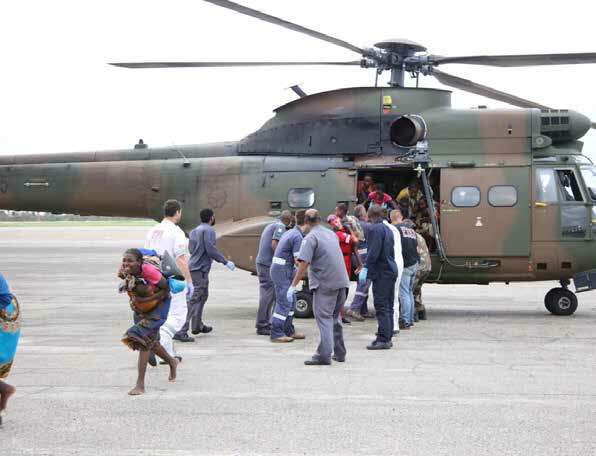 “Using its air platforms, the SANDF has been engaged in multilateral efforts to provide life-saving and sustenance supplies to areas cut-off by the devastating cyclone, which overran entire villages, creating temporary lakes and islands in the process,” the SANDF said in a statement. South African individuals, businesses and non-governmental organisations (NGOs) also stepped in to provide millions of rands worth of donations in food, medicine and other supplies, which were delivered to the country by International Relations and Cooperation Minister Lindiwe Sisulu. 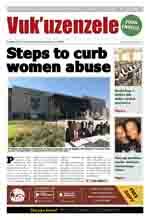 “South African companies have responded to the call. Some are on the ground in Beira, together with the SANDF. The South African Government would like to thank NGOs and United Nations humanitarian organisations who responded immediately after the cyclone hit,” said Minister Sisulu. Government is implementing its humanitarian relief efforts in partnership with Gift of the Givers and the World Food Programme. Government has committed R60 million to Mozambique from the South African Renaisssance Fund, for rebuilding and agriculture. A further R10 million has been committed from the South African Humanitarian Fund for immediate relief. Apart from causing immediate loss of life and leaving hundreds of people still missing, the flooding is already causing a rise in cases of cholera and malaria. “It is inevitable that cases of cholera and malaria will arise. In many areas we are already fighting with malaria cases. The government is already setting up a cholera treatment centre to mitigate cholera. We should not be frightened when cholera issues arise,” said Mozambique’s Land Minister Celso Correia. In response to the situation, the World Health Organisation dispatched 900 000 doses of cholera vaccine to the affected areas. Humanitarian SANDF teams have also been dispatched to Malawi and Zimbabwe, where weather systems linked with the cyclone have claimed dozens more lives and left thousands homeless or stranded. In Malawi, the death toll from the floods stood at over 100, with a further 83 000 people displaced. “A team of 10 military health practitioners with search and rescue air assets were dispatched to Malawi. Front elements were also deployed to Mozambique to assess the situation with the view to assist on the ground for humanitarian purposes,” the SANDF said in a statement. A further R5 million has been committed by the South African Government for immediate humanitarian aid in Malawi. In Zimbabwe, where additional South African relief teams are working, the death toll from Cyclone Idai has risen to 200, with dozens more people still missing. South Africa has contributed R10 million for immediate relief efforts, and a further R50 million for rebuilding and construction. In early 2000, five weeks of heavy rainfall caused catastrophic flooding that killed approximately 700 people – the highest death toll experienced in floods in Mozambique for 50 years. 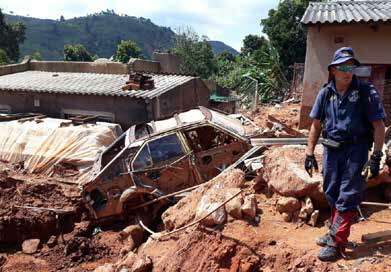 South Africa also played a crucial role in humanitarian relief efforts during the 2000 floods. The most touching story from the disaster was that of Rosita Mabuiango, whose mother gave birth to her on a tree while stranded above swirling flood waters before the family was rescued by a SANDF helicopter.